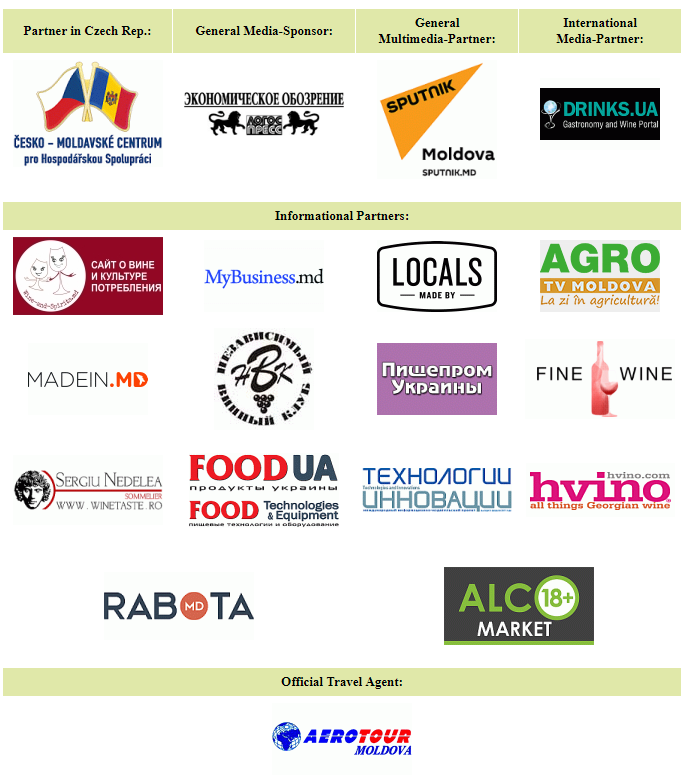 The International Tasting Contest BLACK SEA REGION WINES & SPIRITS CONTEST and the specialized exhibition EXPOVIN MOLDOVA is a single project within the B2B format. The goal is to demonstrate the potential, prove the quality, and assist in promotion and sale. BLACK SEA REGION WINES & SPIRITS CONTEST’ 2018(21-22.02.2018) It will be held under the patronage of the International Organization of Vine and Wine (O.I.V.) 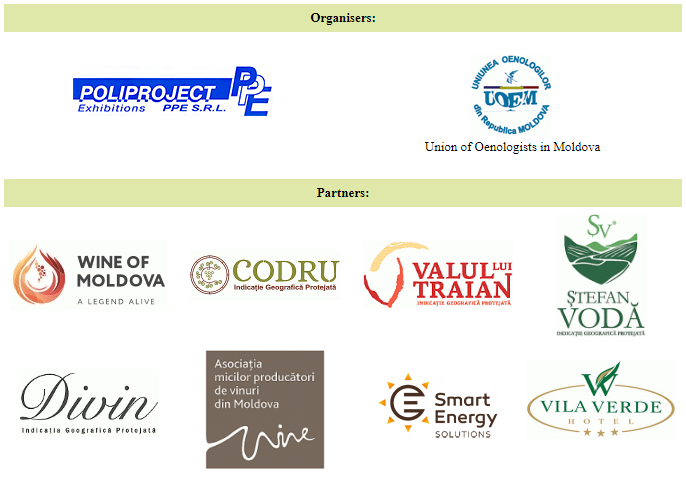 , and in partnership with the Union of Oenologists of Moldova (U.O.M.) . Qualified international tasters from 16 countries, including Master of Wine, Master Sommelier, bloggers and journalists, will be invited as experts. EXPOVIN MOLDOVA(21-23.02.2018) It is a specialized exhibition, covering all areas of modern viticulture and winemaking. Only specialists participate in this event. Tasting Room(21-23.02.2018) It is a platform, where all competitive samples, including international ones, will be submitted for tasting. Public Talk с Master of Wine and Master Sommelier It is held only for project participants and specially invited buyers from the Czech Republic, Poland, Romania, Germany, Kazakhstan, Russia, Ukraine, Belarus, Georgia and China. Competition winners awarding(23.02.2018) Evening event. Tasting all competitive samples. It is held only for participants and invited guests – VIP, buyers, representatives of trade networks and HoReCa, sommelier and mass-media. Advantages: product tasting, objective assessment, useful contacts, the opportunity to pursue the promotion and sale objectives, new knowledge, cost optimization (a single package of services with bonuses).